Leaked details of a Saudi journalist’s death have dominated Turkish media but President Erdogan hasn’t yet directly implicated the kindgom’s crown prince. Ankara may be hoping to use its leverage to help its economy. The lira has recovered, but cheap oil would still help. 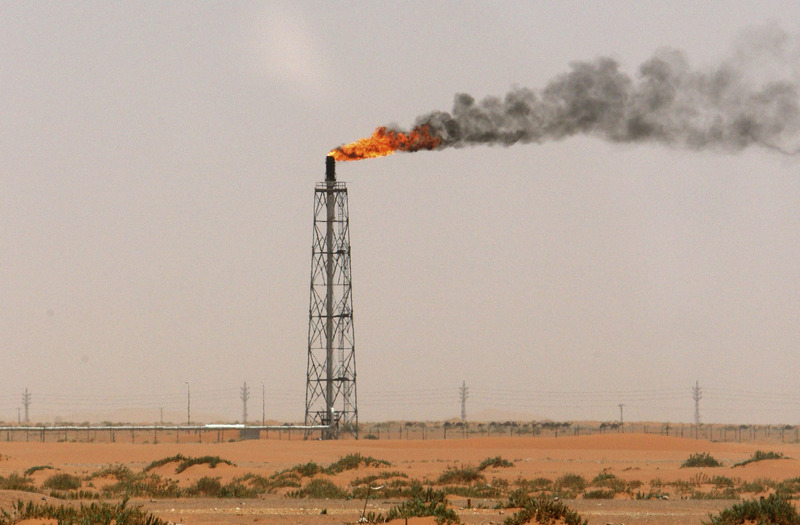 A gas flame is seen in the desert near the Khurais oilfield, about 160 km (99 miles) from Riyadh, June 23, 2008. Turkish President Tayyip Erdogan said on Oct. 23 that Saudi Arabian officials who ordered the killing of journalist Jamal Khashoggi should be held accountable. In a speech to parliament, Erdogan said the “savage” murder was planned, but he did not mention Saudi Crown Prince Mohammed bin Salman. Saudi Arabia initially denied having any knowledge about what happened to Khashoggi, who disappeared on Oct. 2. The kingdom said on Oct. 20 he was killed after a fistfight in the Saudi consulate in Istanbul. U.S. President Donald Trump has said there would be severe punishment if Saudi Arabia is found to be responsible for the journalist’s death, but he has also repeated denials of involvement from the crown prince.